The Negotiable Instruments Act, 1881 lays down the law relating to payment of a customer’s cheque by a banker or collecting banker. In the paying banker owes duty to customer, to honor the cheque according to Customer’s mandate. Whereas in collecting banker who collect various types of instruments. A banker is called collecting banker who collects instruments like money in favour of his customer, the collecting bank delivers the payment received to the remitting bank. A bank that assists in obtaining payment in accordance with draft payment terms is known as collecting bank. It is also known as Importer’s bank. The law on responsibility of paying bank is providing in the Negotiable Instrument Act, 1881.The relationship b/w the banker and the customer are just like Debtor and Creditor relationship. Collecting bank and paying banker- To make payments of the cheque and to collect money and deposit it into the account are the 2 main functions for any banker. Paying banker and collecting banker both are getting legal protections. Duty of collecting bank is to open the bank account and follow up the reference. If the cheque is crossed to some other banker, then its duty of bank to refuse to collect it. Duty to verify the instruments, defects in the instruments. Present the bill to the buyer for payment or acceptance. Release the documents to the buyer when the exporter’s instructions have been followed. Remit the proceeds of the bill. If the endorsement is missing or defective, then the collecting bank always is negligent. The act provides that if the collection is for someone whose name is so similar to the name of the payee that confusion was reasonable under the circumstances, then the collecting bank need not concern itself with either the existence of the adequacy of the endorsement. The drawer’s bank is known as the paying bank and the entire process is called collecting the cheque. A collecting bank wills collecting thousands of cheque a day and the paying bank will collecting cheque drawn on the collecting bank. 1-When payment must be made-A cheque may be payable on demand, so that payee is entitled to be paid immediately. The bank can take the time to refer the account to verify the signature. 2-When payment may be refused-If the cheque is not completed properly then payment may be refused. If the cheque is not dated. The amount in figures differs from amount in words. If the cheque exceeds the agreed limit. If the banker is having any objections in the cheque drawn, the information of dishonor must be given to the customer. 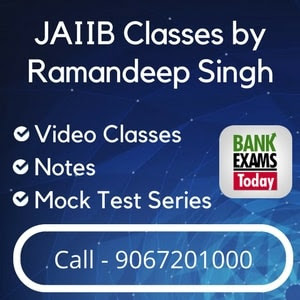 In cases of both the duties performed at the same time, the banker gets statutory protection under section 85 and collecting banker gets protection under 131 of the Negotiable Instrument Act, 1881. The cheque is a crossed cheque. The collecting bank collect crossed cheque as an agent from the customer. 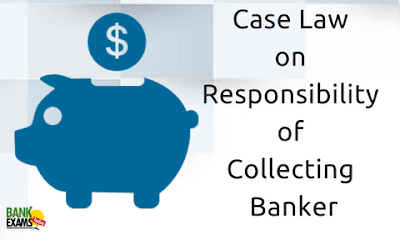 The collecting bank collects the cheque in good faith and without negligence. The plaintiff opened the account with the defendant bank. The account was to be used for the purpose of a business managed by the plaintiff’s son and the defendant bank was instructed to pay the cheque signed jointly by the son and by the plaintiff’s wife. After a few months, the son arranged with a teller of the defendant bank to honor cheque signed only by himself. The plaintiff becomes aware of such arrangements. It was held that under these circumstances estopped from the denying the authority of the defendant bank to honor the cheque signed by the son alone. In this case, a banker paid a cheque under circumstances that would entitle him to protection against his customer; he could not be sued by the true owner of the cheque. There is nothing to indicate that this view was adopted by the draftsman of the act. Under sec 97(2) of the Bills of Exchange Act 1882. The rules of common law and law merchant, except when inconsistent with the express provisions of the act, continue to apply to cheque and bills. But apart from the dictum in Charles v/s Blackwell, it is not at all clear what the position was before the 1882 Act.